Well as many of you know I went off to Air Force basic training roughly 8 months ago. When I was gone I was able to save up about $2000. Right before I left my passenger window fell out. With only plastic sheets protecting my car you could imagine the mess my interior was in when I got back. So knowing that I decided to do a little work on it. Here is the progress so far. Now this is a 92 S that came with the long center console with the hand break in the middle of the console. Now i know some of you are going say "but naj those covers look lose on those seats" Well that was my concern to, so I am currently in contact with the manufacture to see if there is a way to get the wrinkles out I have yet to get a response but when I do i will post it. 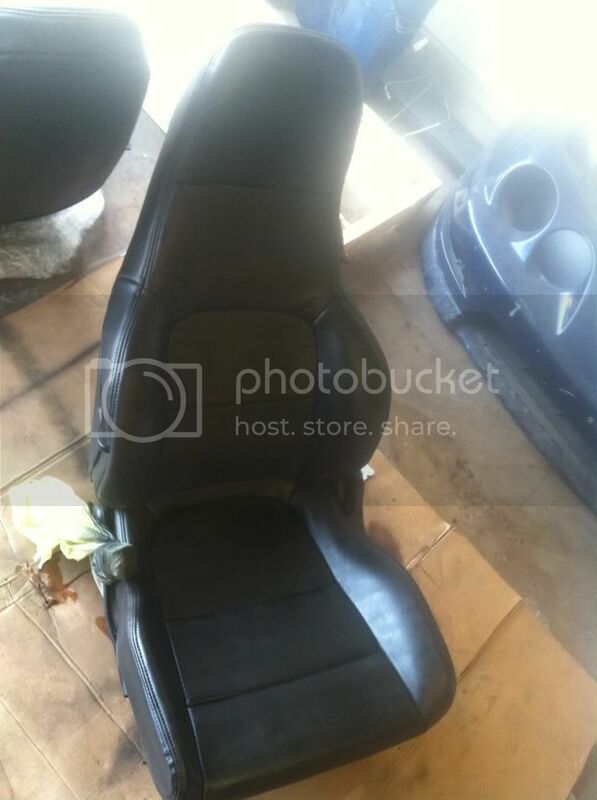 I have also played around with the idea of leather racing seats from ebay. But I don't know if the "cheaper" seats like that can have any negative affects on me if i get in an accident or with normal driving. If anyone has had experience with either one of these please let me know. 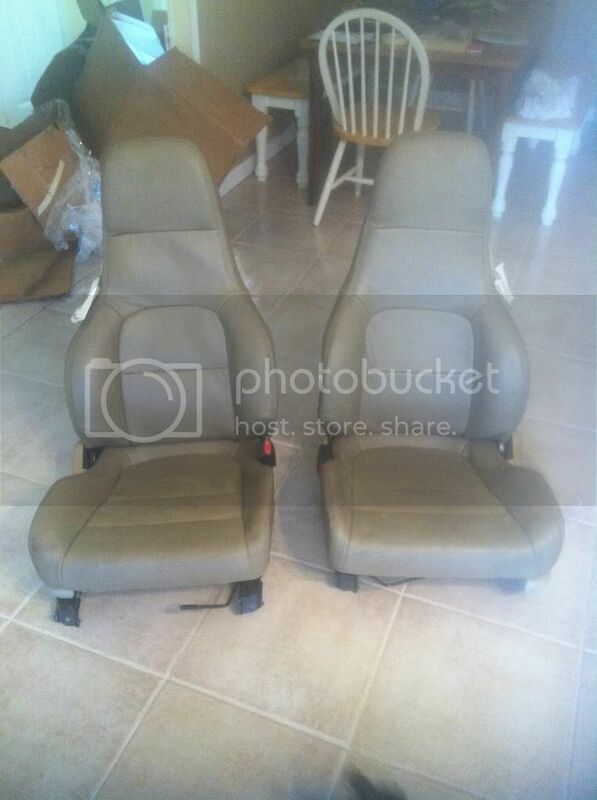 Well got my leather seats from ebay today, 295 shipped for a damn near perfect set of tan seats. A little dirty but nothing soap and water and some leather cleaner wont fix. And I went and sprayed them with leather spray. I need to go over the last seat again because I ran out of paint. 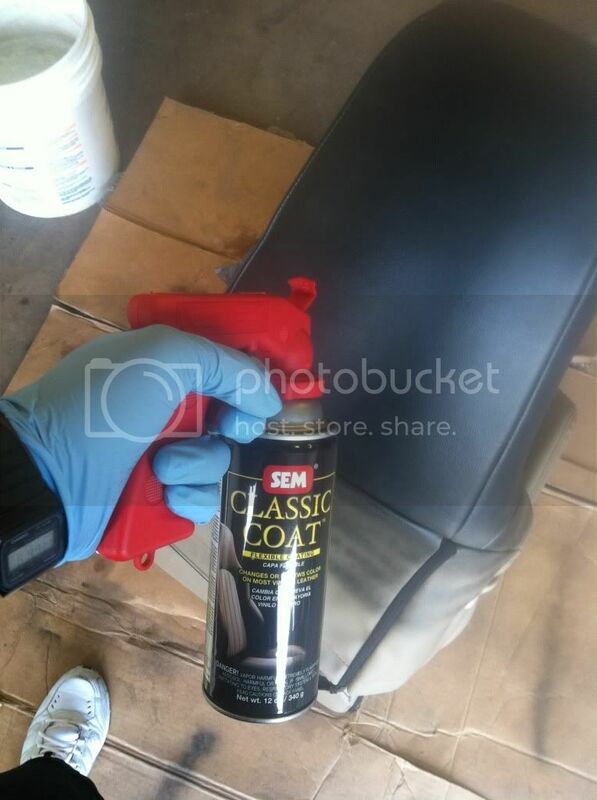 As long as I keep it clean respray will be no problem. The leather is nice and soft with no puddles or runs. Last edited by naj3000; 07-22-2013 at 04:24 AM. Reason: more info. 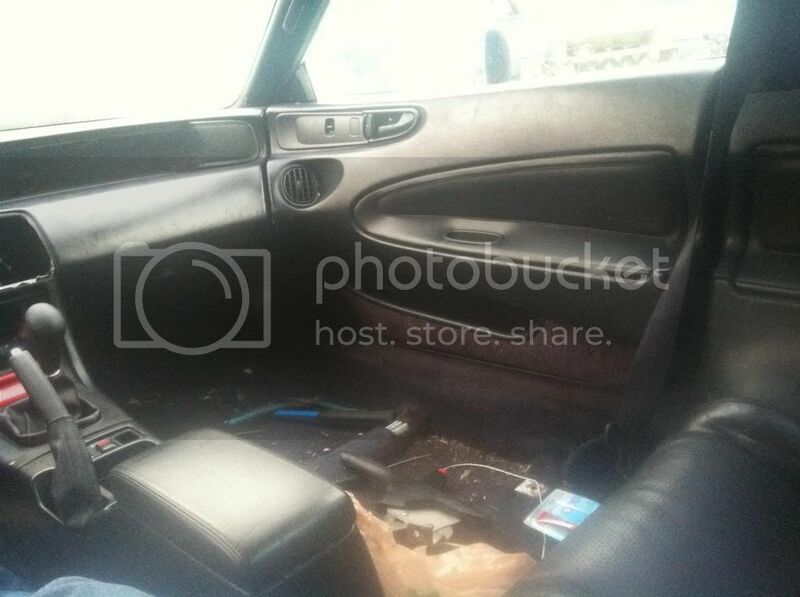 Re: Naj3k Leather interior conversion. Yeah im a little skeptical on the covers to. Ive been looking pretty hard for OEM leather too. But its hard to find them not all torn up. 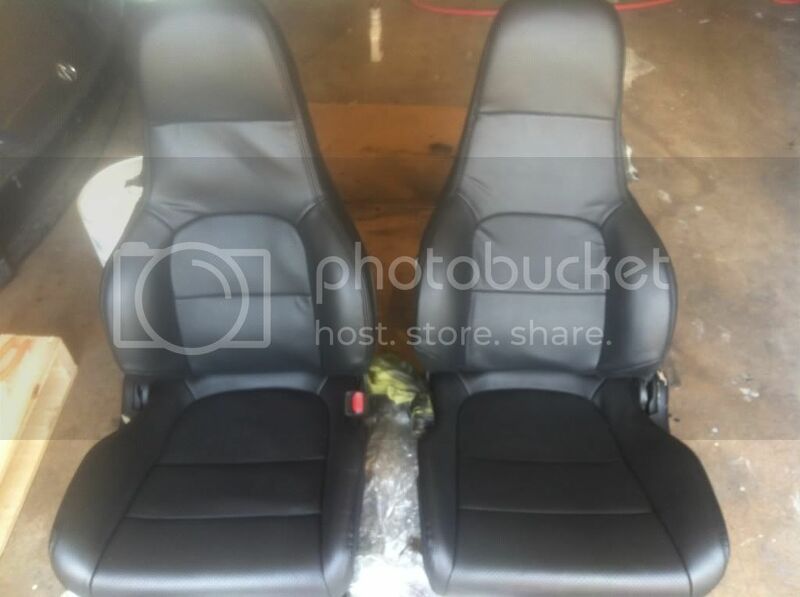 I bought a set of no name vinyl/ leather racing seats a couple years ago for $250 they had the 2 slots in the headrest for the 4-5 point harnesses. They were fully functional with mounting brackets and reclined. Anyways point being, I put them in my car and after a week of pressure from sitting in them gettin in and out, the metal supports used to form the back of the chair snapped and pretty much caved in on me. 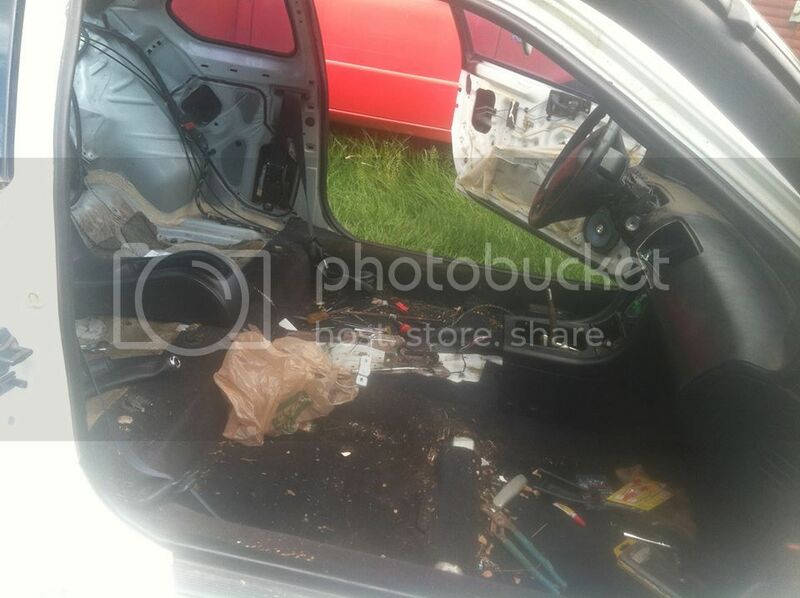 I ripped the seat apart and it was all hollow poles..
You get what you pay for so if you do get some off eBay know what your getting. I wasted my money trying to get a good deal for cheap knock offs. We have a saying at work, "if you don't have time to do it right the first time, you must have time to fix it later." 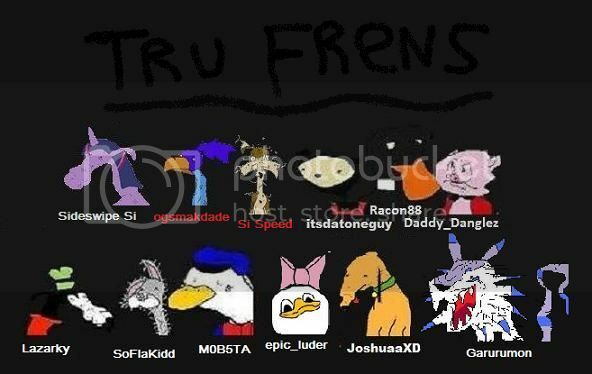 Last edited by BParks; 05-29-2013 at 11:39 PM. I didn't say leather.... Did I? EEhh I guess you didn't. But the title of the thread does say leather conversion. 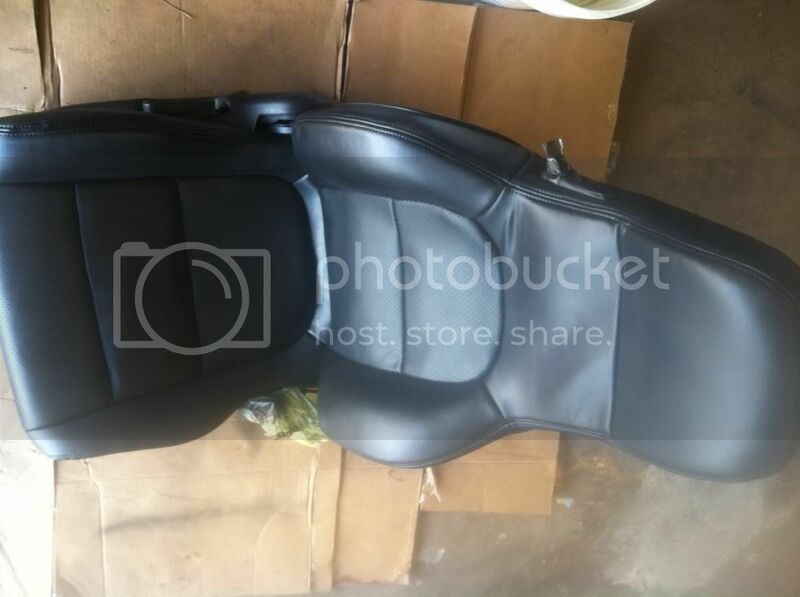 And I do mention leather seat covers and OEM leather seats. So I would assume you meant leather. yeah you might be right. I am looking at leather seat covers that replace the cloth ones completely as well. bump because of new stuff! haha yeah Ive been researching dyes for a while and they range from, using a cloth to rub it on, mixing in a spray gun and cans of spray dye. As long as I keep the can about 6-7 in away from the seats it goes on really thin and keeps it from giving it a plasticy hard feeling. 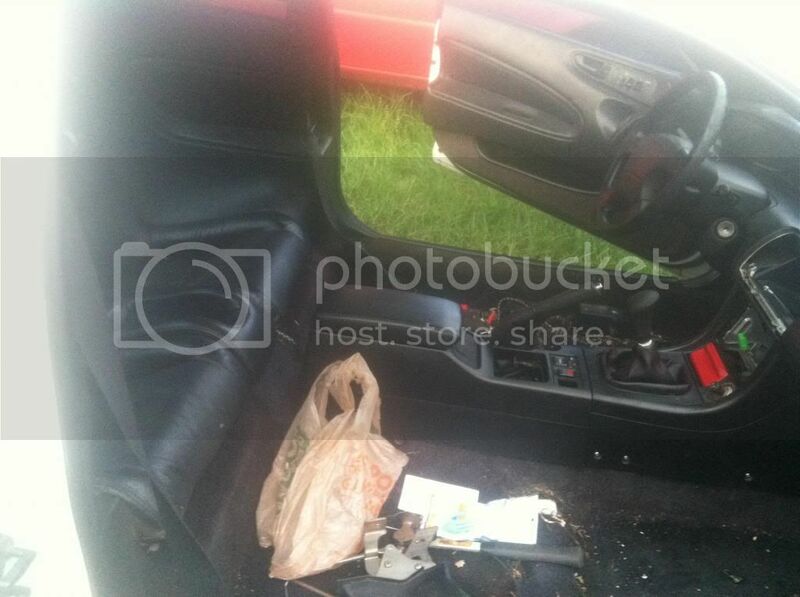 So those are actual leather seats, not the covers you were looking at in the first place, right? They look great either way. Good job changing color. Yes they are OEM honda leather! in GREAT condition! And thank you. haha ok yeah i see it! Why can't I see the thread you just made? I'll just ask here, what store did you get that spray from? Autozone here didn't have any. hey thanks pal. Now i just gota get the seats in the car!